Why did we write this document? We are serious about our Health and safety, as we work in a high risk environment, and equally important, we are serious about the safety of our Clients family and their health. Mention the words HEALTH & SAFETY and the majority of Builders will go into raptures about some ridiculous regulation or ‘job’s worth’ and invariably miss the point. Many homeowners do not see the health risks when work is undertaken within their home. I have not covered how we reduce risks to ourselves but simply a few important pointers as to what we do to keep your Family safe and healthy, and some questions you should ask of any prospective tradesmen you might employ. Most importantly we manage dust extraction, as such materials as mortar / silica and MDF have proven to be hazardous to your health. you wouldn’t expect a big show of hands. So now explain why such conditions are willingly accepted by home-owners when even a basic level of site house-keeping and investment could eliminate much of this nuisance and make life more bearable for you and your family. I’ve spoken to many people who have had builders in their homes and I am astonished by the comments they have made when questioned about Health and Safety and in particular dust control. Mention the words HEALTH & SAFETY and the majority of Builders will go into raptures about some ridiculous regulation or ‘job’s worth’ and invariably miss the point. A poorly set up site and unplanned work puts you at risk from trips, slips and accidents and serious dust hazards. We’ve all heard about the issues of dust in the mining industry and how the effects only surface much later in life. There’s plenty of dust-related health risks in today’s construction environment with the same potential long-lasting consequences which can affect you and your family, whatever the work or indeed the duration of the work. In this document I want to emphasise dust and its implications. Firstly, why is building work so dusty? Power tools are now available for every conceivable construction task. They are highly efficient, (lowering costs) produce consistent and accurate results and generally reduce physical effort. On the negative side they produces volumes of dangerous dust. If you see this in progress (Above) on, in or near your home stop the works… The above can be seen daily on domestic works. The dust covering cars, window cils, the neighbours property with windows left open. I have even seen this activity on the school run times. 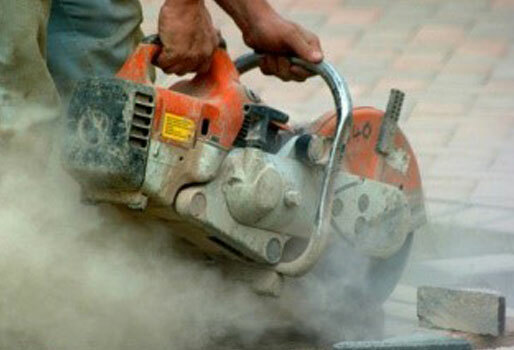 Dust is dangerous, particularly mortar/ concrete dust and fine particles such as MDF. The Health and Safety Executive is demanding greater recognition of dust and it prevention and control in its statement October 2016 and rightly so. Silica dust found in bricks, mortar, tiles etc. and is particularly dangerous to your health. The dust particles are very fine and penetrate deeply into the lungs. Dust is a nuisance to your neighbours. Dust can be an enduring nuisance for the home owners long after the workmen have gone – it settles largely invisible in unseen places and whilst you may think that the tradespersons are very good at tidying up and sweeping away the dust at the end of the working day, all they are doing is moving dust around your home ready to settle overnight in between your kitchen units, on the stairs carpets and just about everywhere else. I need to emphasise to you that building dust is, and is proven to be dangerous to you and your family. So what’s the answer? Of course there are many solutions and the most appropriate will depend upon the scale of the problem: Knocking down a wall from your garage to your hall or toothing out brickwork is at the high-end of the problems and risks, as is cutting of MDF skirting boards. The key to maintaining a safe home site for you is Air Filtration. 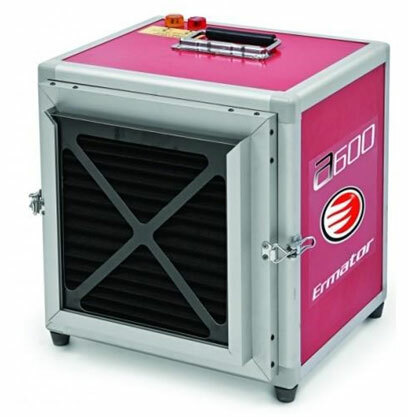 Professional air filtration systems clean the air constantly and most importantly collect 99.99% of dust at >3 microns. This is our Air Filtration system installed in your home when dust is created – any building project. It collects dust and is classed Grade H the best available. Not only that, we create a no go zone. 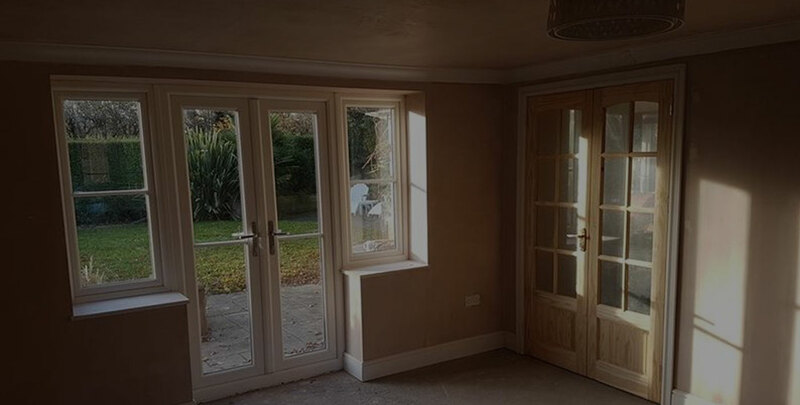 Its sounds dramatic but when knocking through to create doorways and even larger openings we create new temporary wall that separates your living area from the works. 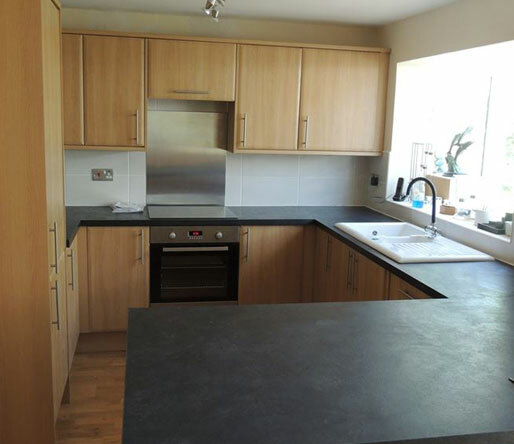 What Do County Garage Conversions Ltd Do to protect you and Your Family? We have a safe site set up programme. We are constantly complemented on our professional approach. We send out a flyer to your neighbours stating we are starting work and the need to keep children away from the site as it is dangerous. We spend on education and training for our crew and that helps you because they are competent in recognising risks and are advised and empowered to cease work if there is a risk to your health and safety. So, it’s not just dust we address, it’s an overall responsibility, a duty of care that drives us to plan, manage and monitor risks for you and your family.